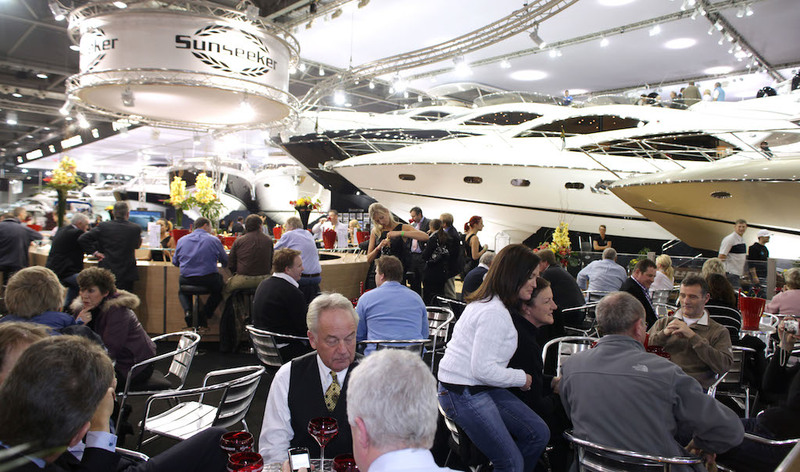 / Events / The boat show – can you smell the possibilities? As regular readers of this column will know, this is the time of year when I get really excited – because the London Boat Show is about to open its doors. Although I much preferred it when it was held at dear old Earls Court, I shall still be beating a path to the Excel Centre in Docklands on Saturday (January 4) for the show and I still get the same buzz of excitement at the thought of all those lovely boats, boating books, chandlery, ropes, clothing and 1,001 other bits and pieces all related to nothing but getting out on the water. For me, my wife, Julie, and my brother, Alan, it’s become something of an annual pilgrimage. We always get there ridiculously early – but just wandering around the place looking at the gin palaces moored up alongside the quay or taking in the sights of the revitalised docklands area compensate for that. And, apart from anything else, it’s great to be able to meet up with old friends and just yarn about what we’ve been doing in the past 12 months and what outlandish schemes we have for the year ahead. There is something about the smell of the boat show that I find really intoxicating. It’s a strange mixture of fibreglass, varnish, rope and polish that seems to represent a world of enjoyment and possibility. Yes, I know, I’m a sad old man, but that’s what it summons up in my imagination. A couple of my work colleagues are contemplating the purchase of narrowboats so I’ll probably pick up some brochures for them and then head for the Cornish Crabbers stand to drool over a Cornish Shrimper – a 19-foot gaff rigged sailing boat that I’ve always coveted but will probably never be able to afford. It is amazing the way prices of new boats have shot up over the last 20 years or so. When I first started hankering after Shrimpers they were around £12,000 – now you’re looking at more like £35,000 for one with an inboard engine – and that doesn’t include a lot of the fixtures and fittings or a trailer. The other thing the three of us always enjoy is poking around the stands of the chandlers. It doesn’t matter how much spare rope I’ve got lying around on Terra Nova, I always seem to end up being drawn towards Jimmy Green Marine and buying more hanks of line that I don’t really need. If you’re thinking about going along, find out about ticket prices and opening times by visting the website at www.londonboatshow.com.